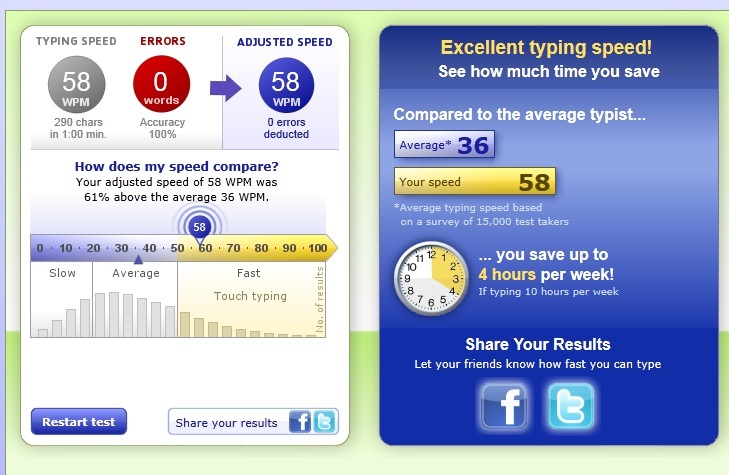 The typing test was a fun experience, helps me figure out my type speed and my weakness when it came to typing it. I have a weakness of slowing down during Capital letters, and shifting around finding quotation marks. It was an overall fun exercise.